Nanotechnology is the manipulation of matter at a molecular or atomic level in order to produce novel materials and devices with new extraordinary properties. However, nanotechnology is not a new discipline. It is rather the merging of multiple scientific disciplines (biology, physics, chemistry, medicine and engineering) and the combination of knowledge to tailor materials at the nanoscale; approximately in the range of 1-100 nanometers (10-9 m). Nanotechnology is closely related to Nanoscience, the basic theoretical and experimental study of matter at the nanoscale before applying the acquired knowledge for device manufacturing. But the question is why is Nanotechnology so innovative and revolutionary? The answer lies in quantum mechanics. The behavior of matter changes significantly when the surface area to volume ratio increases so dramatically. Classical physics no longer control the behavior of the material which is now under the control of quantum laws. This fact gives the nano-structured material new abilities and properties that may be more favorable than the ones of the bulk material version. A good example is that some polymers, although being insulators in the bulk form, they become semiconductors at the nanoscale. Nanotechnology's current state enables the manufacturing of nano-structured materials and the tailoring of their properties. 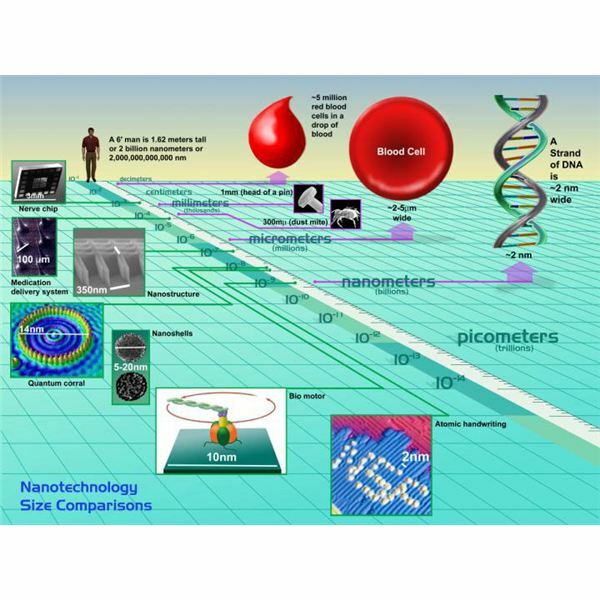 The development of more complex nanomechanic devices (nanorobots, nanocircuits, etc.) is still in an infant stage. 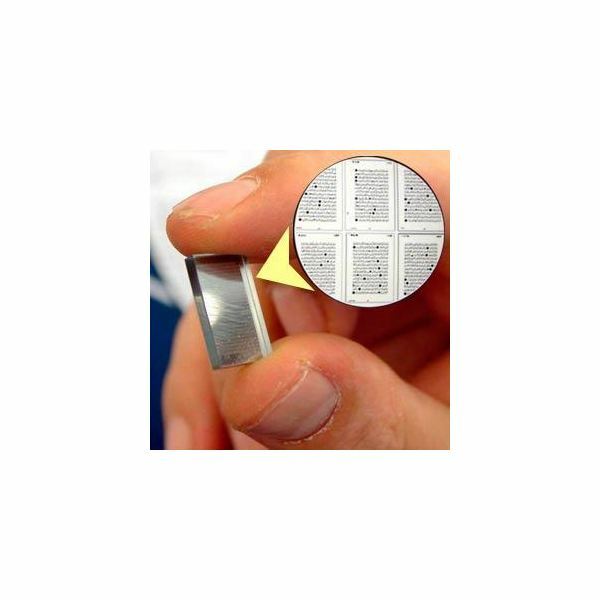 These powders consist of particles of a few tens to a few hundreds of nanometers in size. Due to the large surface area to volume ratio, these materials present new enhanced properties when compared to their bulk properties. The use of nanopowders can create novel materials such as plastics with resistance to UV light, synthetic bone, more effective drugs, and catalysts. 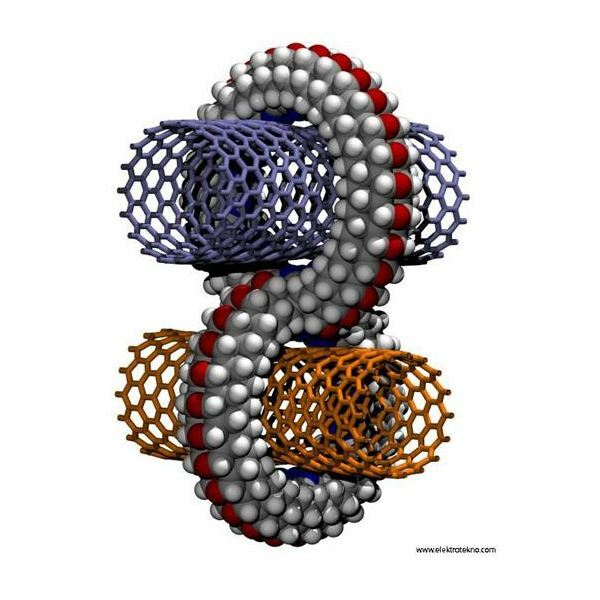 Nanotubes are hollow cylinders whose walls consist of single or multi-layered sheets of atoms. Their diameter is in the range of a few nanometres. The first discovered nanotubes consisted of carbon atoms (carbon nanotubes), but soon other element nanotubes were developed as well. These structures are very popular in the current nanotechnology market. They are used to build extremely strong and light materials with a variety of applications such as vehicle manufacturing. Other uses may involve future nanocircuits, mechanical gears for nanomachines, etc. Another future application may be the employment of carbon nanotubes in flat panel display screens. 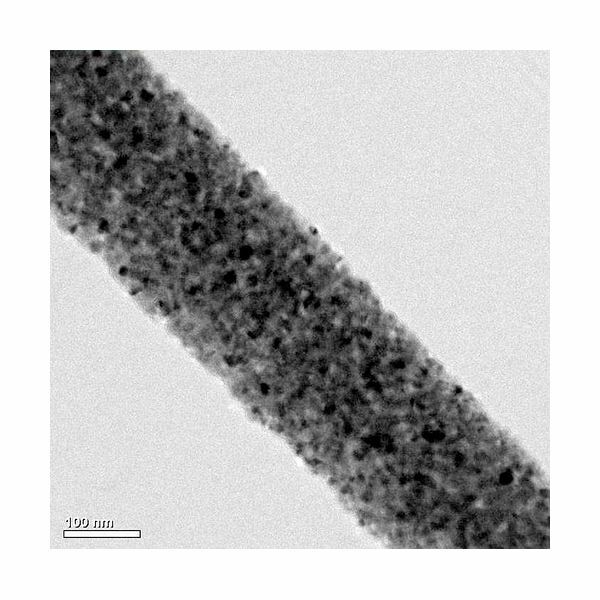 Nanowires are cylindrical structures with a diameter of a few nanometers. The difference between nanotubes and nanowires is that the latter are not hollow. 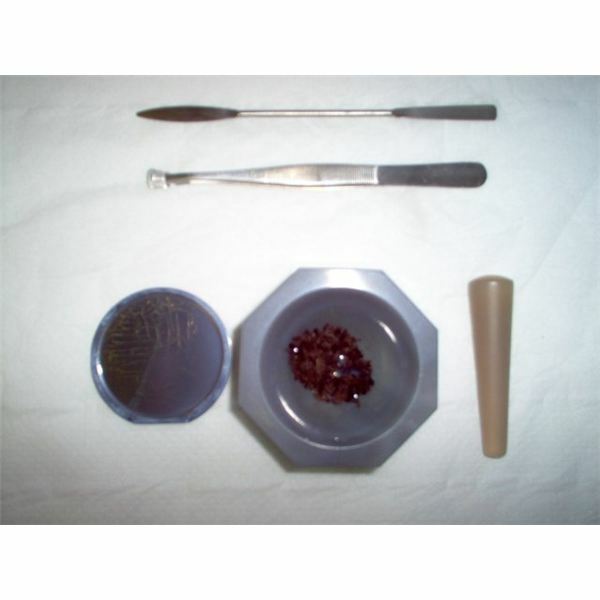 They are thought to be suitable for the construction of electronic devices and chips. A nano-structured membrane has the ability to filter molecules of liquids or gases. In nature, the cell membranes allow molecules to penetrate them and contribute to the formation of chemical compounds. The tailoring of these nanomembranes can result in the selective filtering of specific sized molecules. Energy: Nanotechnology can improve the existing technology of fuel cells in order to increase their life cycle and reduce the cost of catalysts. Solar cells will also increase their energy conversion efficiency by reducing cost. The production of fuel could also become more effective by making extraction and processing more economical. Medicine: Nanoparticles can be developed in order to deliver drugs to diseased cells. New bio-compatible materials are produced that can be used to make medical implants. Stents are also developed to prevent artery blockage. Industry: Vehicle manufacturers can use the new light and extremely strong materials (eg. 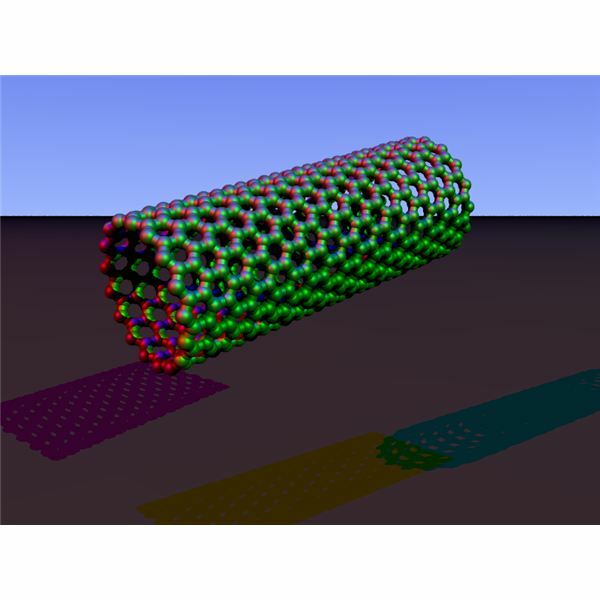 carbon nanotubes) to build faster and safer cars. The same technology applies in aerospace as well. The textile industry can benefit from the development of nanofibers. Clothing made of nanofibers is stain-repellent and can be washed at very low temperature. Another great application has to do with the embedded wearable electronics. Nanotechnology could also revolutionize the food industry by improving the conservation, processing, and packaging procedures. Other applications include bacteria identification and nanoencapsulation of bioactive food compounds in order to keep them in a safe anti-microbial environment. Communication and Electronics: The advances in nanotechnology will reduce the weight and power consumption of electronic devices. Data processing speed will increase, and new portable devices will be available soon. This will revolutionize the world of communication and data transfer. Consumer Goods: Other goods of every-day use that could be developed include anti-reflective sunglasses, new generation cosmetics, easy-to-use ceramics and glasses, etc. Nanotechnology has been in the spotlight of development during the last years. The enormous potential of this new technology has been recognized immediately by both academia and industry. The ability to affect so many areas of modern life can actually be a means to revolutionize the way of doing things. 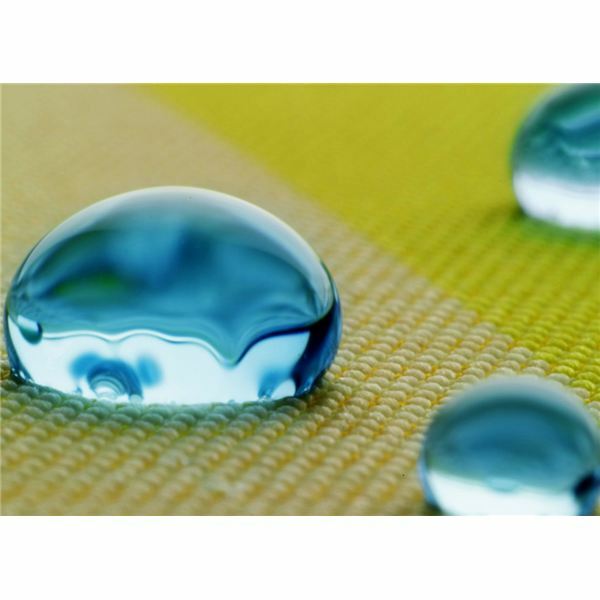 Many claim that nanotechnology may entail many risks and dangers for the future. This could originate from an abusive use of the new technology (e.g. development of new powerful weapon systems, detecting systems that threaten all levels of privacy, etc. ), a fact that gives rise to social, ethical and safety concerns. Nanotechnology is very promising, but it would be unwise to ignore the negative aspects and not deal with them. Since it has already entered our lives, it is rather safe to say that it will definitely change the way we live.